We employed qualitative methods to explore how conflict over water collection and use impacts women, and the role that women play in water management and conflict resolution in Marsabit, Kenya. Conflicts between domestic and livestock water led to insufficient water for domestic use and intra-household conflict. 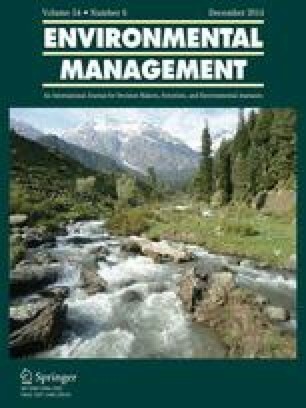 Women’s contributions to water management were valued, especially through informal initiatives, though involvement in statutory water management committees was not culturally appropriate. Promoting culturally appropriate ways to involve women in water management, rather than merely increasing the percentage of women on water committee, may reduce conflicts and increase women’s access to domestic water supplies. This research was conducted under the Millennium Water Program Kenya. Financial support was provided by the United States Agency for International Development and the Emory University Global Field Experience Fund. The authors wish to thank the women and men who participated in this study. The authors would like to acknowledge Susan Aleya, Elizabeth Diko Boru, Peter Durito, Paul Forole, Joseph Iya Galgallo, Malich Galgallo, Ruth Moga, Samuel Moga, Pinto Ortoya, and Boru Andrew Roba, for their skill and dedication in data collection as well as Food for the Hungry Kenya staff—Simeon Ogamba, Richard Roba, and Alidiba—whose expertise in water, sanitation, and hygiene issues in Marsabit communities was instrumental to the success of the research. This study was deemed exempt by Emory University’s Institutional Review Board and was approved by the National Steering Committee on Peace building and Conflict Management in Kenya. Informed consent was obtained orally from all KII and FGD study participants.